I really enjoy challenging kids to respond to prompts. Their creativity is amazing and something to be celebrated. Today I have a new prompt. 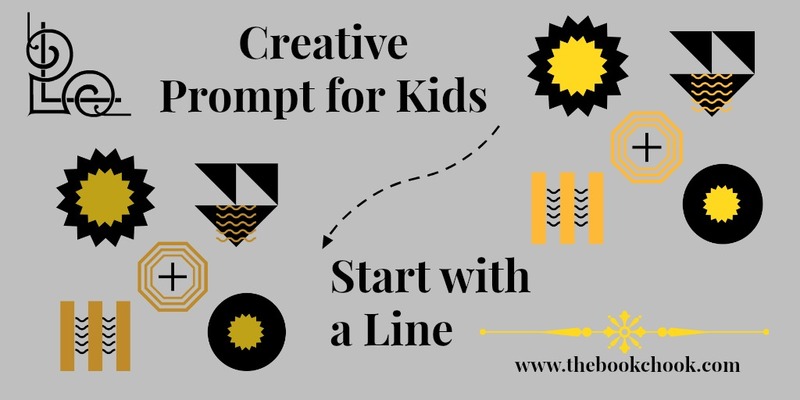 It asks kids to start with the concept of some kind of line, and use that as the spark for any kind of creativity. Remember, the important thing is that kids create SOMETHING, so deviating from my suggestions is wonderful! Below this you will see the list of all my creative prompts so far. ***How many lines can you see in your home? Classroom? What if those lines became something else? ***Name as many different lines as you can e.g. straight, curvy …. ***Invent a board game that uses two parallel lines to show a journey or pathway. Divide up your lines into “stepping stones” so players can move along the path with markers to hold their place, and use dice-throws to go forwards or backwards. 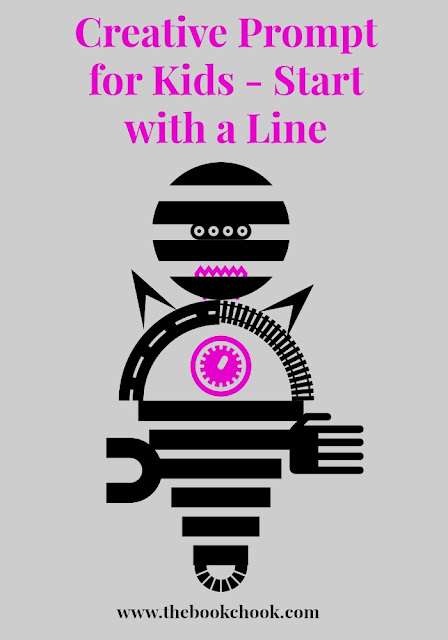 ***Check out this tutorial on drawing lines and transforming them. 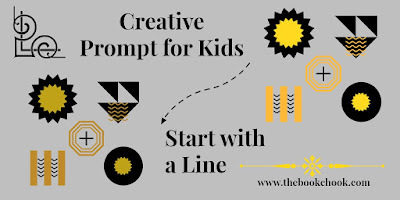 What can you do to transform a line? ***Can you think of a story where a line is a very important clue to solving a mystery? ***What is the opposite of a line? Create an art work based on this idea. ***Draw a straight line. Add another, and another. What can you draw using only straight lines? ***Can you create an art work using paper, string and paint? ***Find a simple biscuit/cookie recipe or ask someone to recommend one. Once you’ve cooked them, let them cool. Make some icing and draw lines and swirls to decorate them. ***Draw a squiggly line. Ask your friend to turn your squiggle into something else. ***Take two pencils and use a rubber band to bond them together. Draw a pathway with those two pencils. Where will it go? What happens when you get there? ***Imagine a line drawn in front of you. You decide to follow it. Where will it lead you? What happens? How do you escape or resolve a problem? ***Google “Follow the Line children’s picture book” and browse some pages from Laura Ljungkvist’s books. Use one of her ideas to create something new of your own. ***Artist Geoff Slater paints “using one continuous line with a beginning and an ending. Although it changes colour, the line never touches, or crosses itself.” What are you inspired to create like this? ***What line from a song can you use for inspiration to create something you would like? ***Draw some lines on the playground with chalk. What game can you invent?